It’s a great time to be a beer drinker in New York City. Not only do we enjoy countless amazing beer bars, but we get to experience a renaissance of local craft brewing. From the pioneers to the upstarts, NYC brewers are pumping out delicious beer at a high level. This was evident at the first annual Brooklyn Local Craft Beer Festival, held on October 5th in Gowanus. 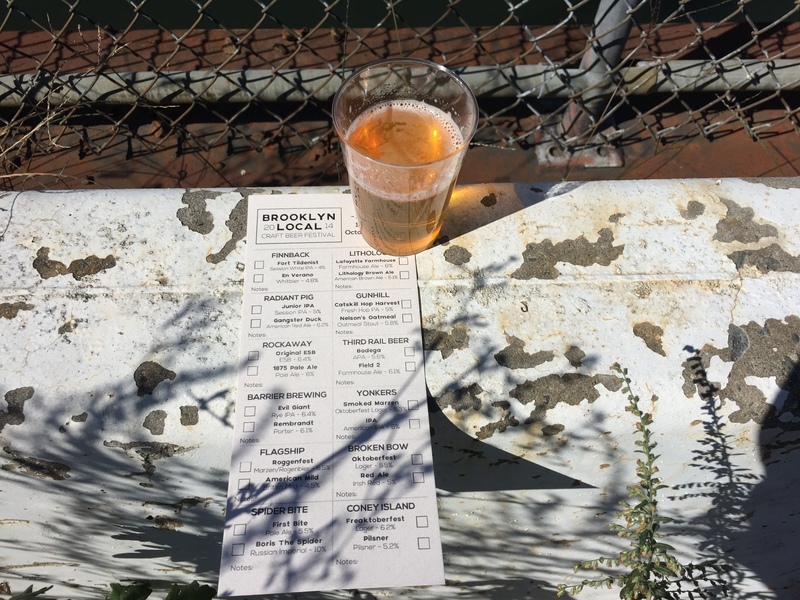 The sold-out event, appropriately held outdoors adjacent to the Gowanus Canal, featured twelve NYC-area breweries and five local food vendors . Spider Bite Beer Co – Boris the Spider: This is a big beer, a Russian Imperial Stout clocking in at 10% ABV. The Long Island-based brewery adds 8 different malts to produce a smooth and creamy beer that hides the alcohol well. Roasted malt, chocolate, and coffee are featured in both the aroma and taste. Finback Brewery – Fort Tildenist: A light sessionable white IPA (at 4% ABV) made with green tea and lemon zest. Citrusy but not bitter, it’s got a great tang and crispy finish. Another great beer by this Queens brewery! Lithology Brewing – Lafayette Farmouse: A saison with some interesting ingredients (corn and wild honey) and a suprisingly pale ale-like fruity smell. This is an exciting brand-new brewery (based in Long Island), so new that your only chance to have their beer is at festivals! 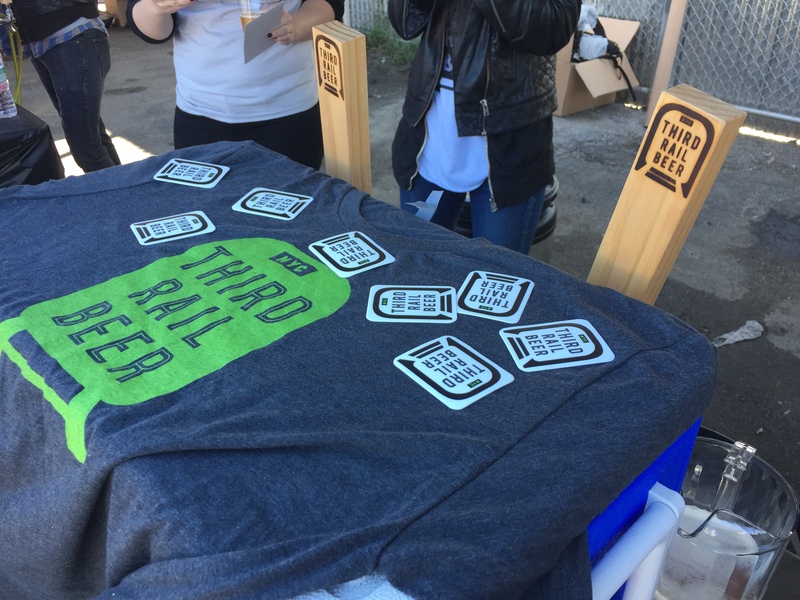 Third Rail Beer – Bodega American Pale Ale: A new Manhattan-based gypsy brewer, Third Rail brews my favorite beer of the whole festival. Other than the great city-inspired name, this super fresh beer was chock full of fruity, juicy goodness from an abundance of Citra and Centennial hops. Like all good pale ales, there’s a crispy, thirst-quenching finish. With all this great beer, food is needed, and the festival had some great options. Sweet Chili, Bill’s Balls, and Hops & Hocks covered the savory foods, while great dessert was offered by Carpe Donut and Made of Beer Bakery (using spent grains from Lithology). 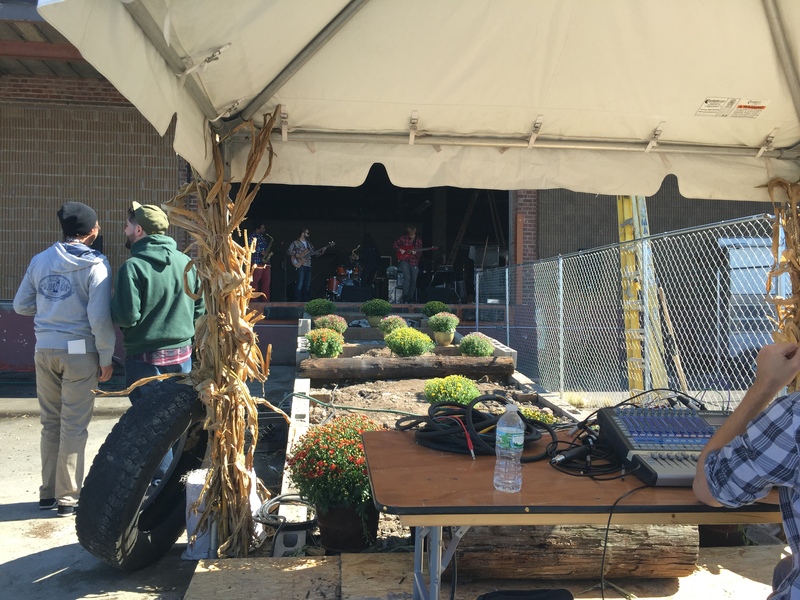 The beer lines were short, the weather was perfect, and some great bands performed live. A very well-run festival, especially for the inaugural edition. Looking forward to next year! October 10, 2014 in Beer, Breweries, Events.